In a recent interview, Facing History alumna Amal Altareb spoke about the impact of Facing History on her development as a Yemeni-American student activist and aspiring policymaker. Altareb shared that she was born in California and lived there for a year before immigrating to her family’s native Yemen. She then lived there for 11 years until new professional opportunities and the political instability that followed the Arab Spring beckoned her family back to the U.S. For readers unfamiliar with this history, the Arab Spring refers to a wave political protests, uprisings, and armed rebellions that swept the Middle East from 2010 to 2012. Upon starting seventh grade in Memphis where her family settled, Altareb did not speak English and was one of only three students wearing the hijab. Despite the immense challenges she faced, a powerful relationship with a Facing History teacher would help her find her voice as a student leader. With the support of Ms. McIntosh—Altareb’s ninth grade World History teacher—Altareb became involved in the Courageous Conversations Club to encourage discussion of important topics often considered taboo in high school classrooms. Altareb also spoke about the power of witnessing young people’s ability to effect change while living in Yemen: “I learned that the Arab Spring in Yemen was led by youth; young people can change the world.” This experience prepared her to speak on the subject in English before an audience of 800, and helped her realize that she had something important to say even as a high schooler. 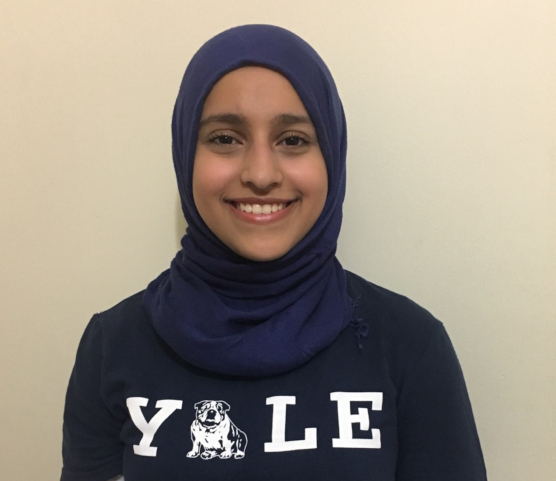 Despite entering seventh grade without English fluency, Altareb’s determination enabled her to gain admission to Yale University where she is now a first-year student. There, she serves on the board of Students for Yemen—a campus organization dedicated to raising awareness about the humanitarian crisis in Yemen and what Americans can do to help. Altareb and her collaborators hosted the National Fast for Yemen on April 11th—designed as an opportunity to raise money and build empathy for Yemenis facing starvation. She is also raising awareness about the richness of Yemeni culture that remains even amid the present suffering. “People need to see that [Yemenis] are not just numbers, but…people with culture and dignity,” Altareb said. Facing History and Ourselves invites educators to use our Teaching Idea, “Taking Charge! : Student Activism in Historical Context,” to help students understand the impact that young activists can have on their communities. Kaitlin Smith is a Marketing and Communications Writer for Facing History and Ourselves.